Some people don’t like the plan at all. Taoiseach Enda Kenny at the Ploughing Championships today. THE GOVERNMENT IS pledging €30 million over the next five years to renew rural towns and villages – but the plan has been met with scorn. Minister of State with Special Responsibility for Rural Economic Development Ann Phelan today told RTÉ’s Sean O’Rourke that the scheme included an “incredible amount of money”, but opposition TDs have said it is merely a drop in the ocean. Under the scheme, towns affected by the economic downturn can apply for funding to renovate derelict buildings, improve amenities and other projects. However, the €6 million a year will not replace funding lost under the Leader scheme by many counties. This year alone County Tipperary saw a loss of over €15 million to its Leader programmes. Independent TD Mattie McGrath said that the Leader programme fulfilled the same role as the new scheme, calling it “insultingly cosmetic”. That is half of the entire budget for this scheme contained within one county. It is absolutely farcical and will be seen for what it is; an attempt to look like decisive action is being taken when the opposite is the case. Sinn Féin’s Martin Ferris said that what rural regions need is jobs, not “token gestures”. With the melding of LEADER funding into local authorities, this is merely a case of re-announcing old funding. Rural Ireland needs jobs and investment, not token gestures. The funding works out at €1.15m per county spread out over years; enough to buy headlines but not enough to make any difference. “The people of rural Ireland are fed up being ignored and neglected. 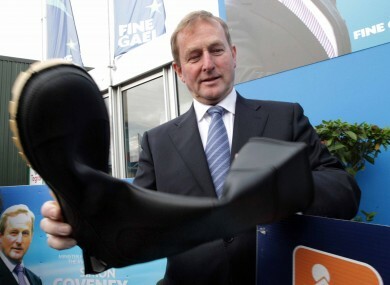 Email “"Insultingly cosmetic": TDs slam government scheme to help rural areas”. Feedback on “"Insultingly cosmetic": TDs slam government scheme to help rural areas”.